Discover this sun-drenched fully remodeled home in East Vail with mountain views from every room. 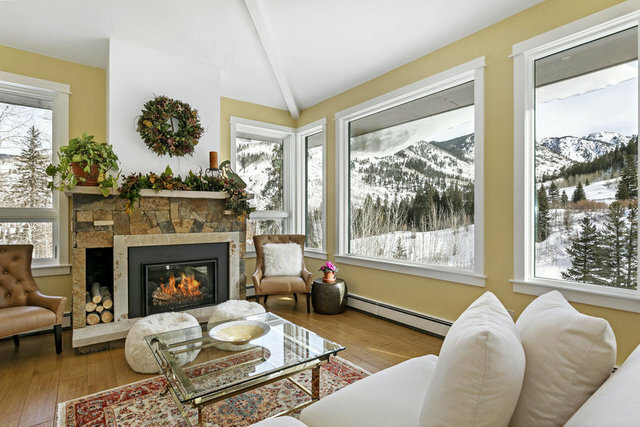 Situated at the end of a quiet cul-de-sac this 6 bedroom / 4 bathroom duplex boasts panoramic views of the Gore Range peaks and Vail Valley with a spacious top floor master suite. Connected by the garages this home feels like a single family.The open floor plan has gorgeous new wood floors, a gas fireplace with great flow to the large dining area and kitchen, equipped with new stainless appliances.